This year’s special guest speaker is surgeon, researcher, innovator and entrepreneur Dr. Andy J. Redmond, who grew up in Ottley’s Village, St. Kitts. Redmond serves on the Medical Executive Committee of the highly acclaimed Texas Spine and Joint Hospital, which consistently ranks among the best hospitals in Texas and the United States. The Yale-trained doctor maintains strong ties to his St. Kitts-Nevis heritage. Redmond is a proud lifetime member of the St. Christopher Heritage Society and was instrumental in launching the first MRI service on the island of St. Kitts. 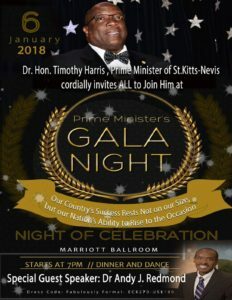 He graduated valedictorian of his class at Cayon High School in 1991 and after Sixth Form, he worked for one year as a research assistant at the St. Kitts Biomedical Research Foundation, where he gained a scholarship to pursue studies in the United States. He went on to earn a bachelor’s degree in molecular biophysics and biochemistry at Yale University, where he studied the effects of stress on the brain. He then studied at Yale School of Medicine, where he completed his neurosurgical training. During his seven years of surgical training, Redmond witnessed first-hand the significant impact of MRI imaging on patient care and developed an interest in bringing this technology to St. Kitts. In 2012, Redmond successfully completed U.S. national exams to become board-certified in neurosurgery. Aside from his surgical practice, Redmond is engaged in entrepreneurial pursuits; he has patents pending and has established a private company based on this intellectual property. His company is dedicated to the design, development and licensing of spinal implants. 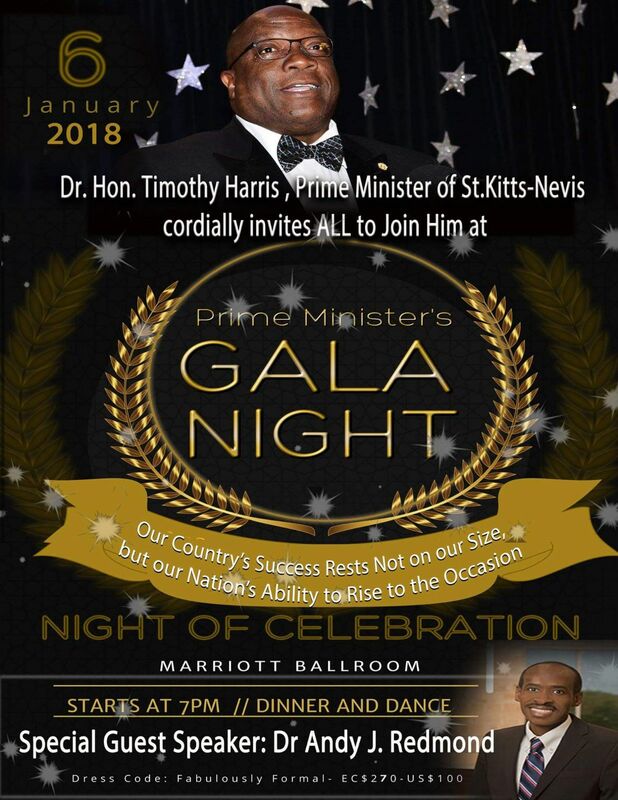 The Office of the Prime Minister is issuing tickets for tomorrow night’s gala. Call (869) 467-1043. The ticket price is EC$270/US$100.